Dog Bone Real Antler Scent for Dog Training -- 2 oz.. $11.99. 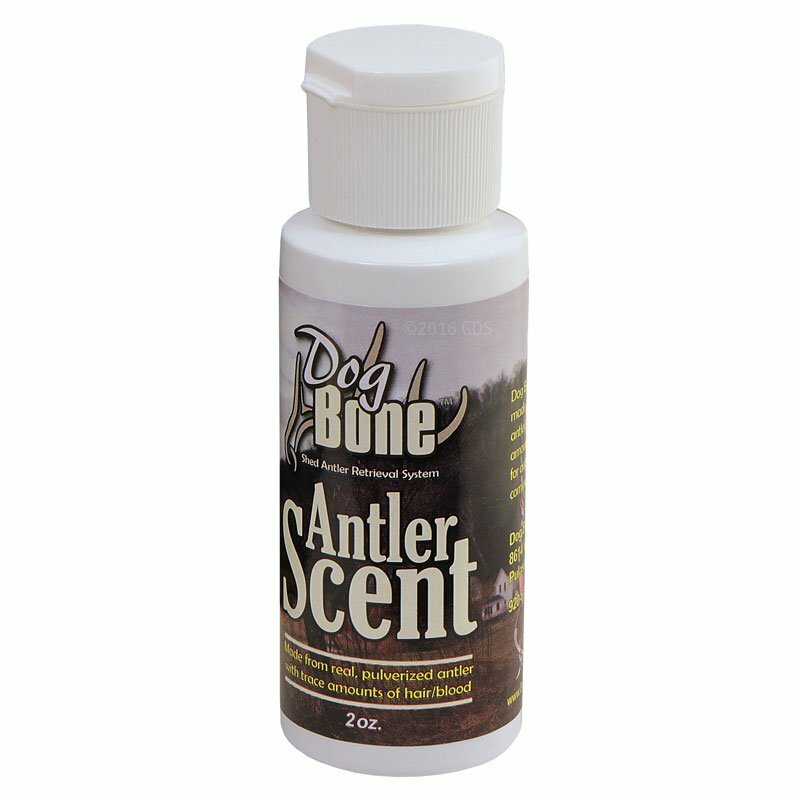 Use Dog Bone Real Antler Scent to help train your dog to retrieve shed antlers. Made from real pulverized antler with trace amounts of hair and blood. Apply the scent to a Dog Bone Retrieving Antler or real antler. For best results, avoid getting human scent on the retrieving antler.